Word Entertainment announces the long-awaited release from multi-award winning artist Francesca Battistelli. Titled 'Own It', the album is the follow-up to 2014's GRAMMY-nominated album If We're Honest featuring the GRAMMY-winning song "Holy Spirit." Battistelli, who was recently touted as an Artist on the Rise from YouTube Music, co-wrote nine of the ten songs found on 'Own It' with such songwriters as Matt Maher, Mia Fieldes, Jeff Pardo, Molly Reed, Ellie Holcomb, Seth Mosley and Josh Bronleewe, to name a few. Read More Word Entertainment announces the long-awaited release from multi-award winning artist Francesca Battistelli. Titled 'Own It', the album is the follow-up to 2014's GRAMMY-nominated album If We're Honest featuring the GRAMMY-winning song "Holy Spirit." What an amazing bunch of songwriters. For me there are so many 'wow' moments on this album. The opening track 'The BreakUp Song' is a great song and a powerful one at that. 'The Very Best' is a positive pop tune about how we all deserve the very best. 'Love Somebody' is an 80's synth anthem, the song is about showing people Jesus by loving them: "it can change everything". The album does tend to lean towards the 80's pop style with a modern twist if I was putting it in a musical box, but then you hit play on the powerful and uplifting 'This Can Change Everything' and the gospel sounds spring out. Another big wow moment comes on the brilliant 'You Belong' which has a heartfelt passionate vocal that really digs deep into the soul of Francesca as she sings it out. This album is a great mix of big pop songs like 'Let The Light in' and beautiful ballads like 'Defender', which is truly something else. 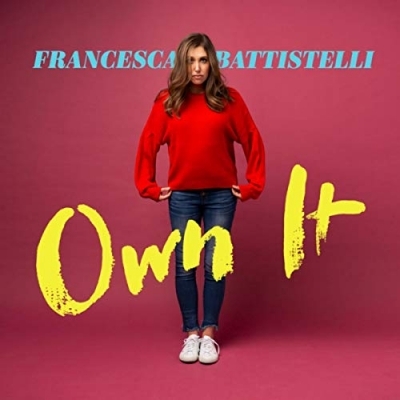 Francesca has a lovely voice and mixed with some tender moments where we hear her voice at it's best and you have a fantastic new album from this talented singer.